A striking wall light with bold, geometric lines. 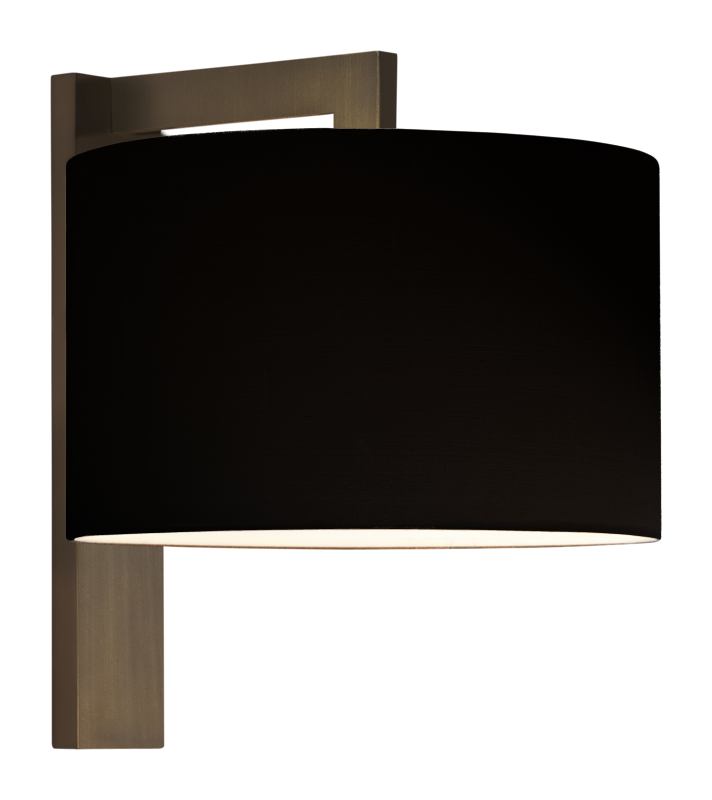 This handsome light with a bronze finish and stylish black fabric shade would create a dramatic impact in a debonair bedroom or elegant hallway. A very tasteful addition to your interior decoration scheme. This wall light requires a 60W E27 lamp. It is suitable for bathroom zone 3 and the fabric shade includes a removable acrylic diffuser.